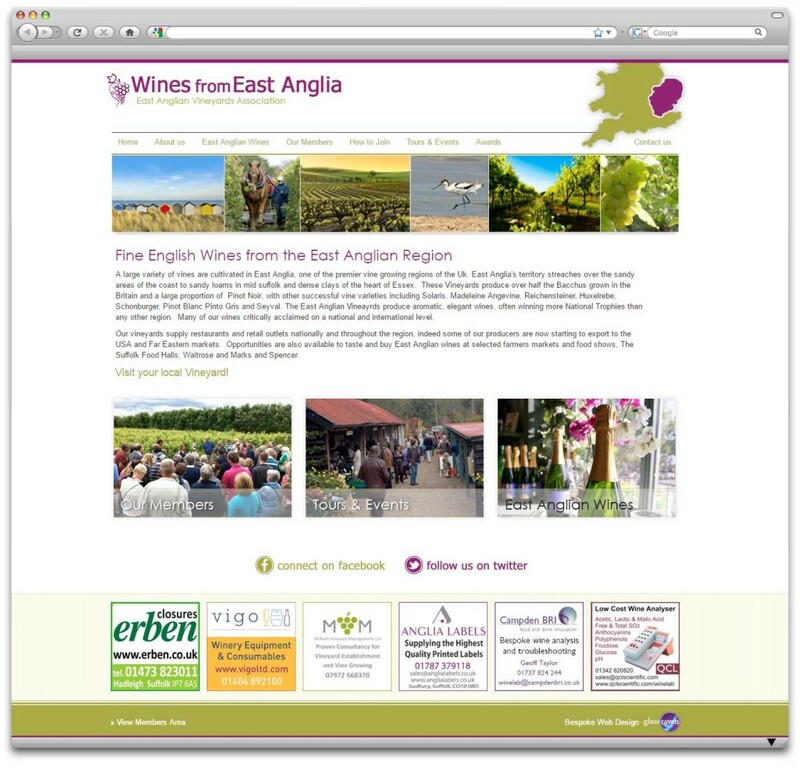 The East Anglian Winegrowers Association required a website to publicise the vineyards in the local area and their members events, along with the facility to encourage more membership. Google maps API was integrated with a bespoke developed membership section of the content management system for easy population of members details into the website. 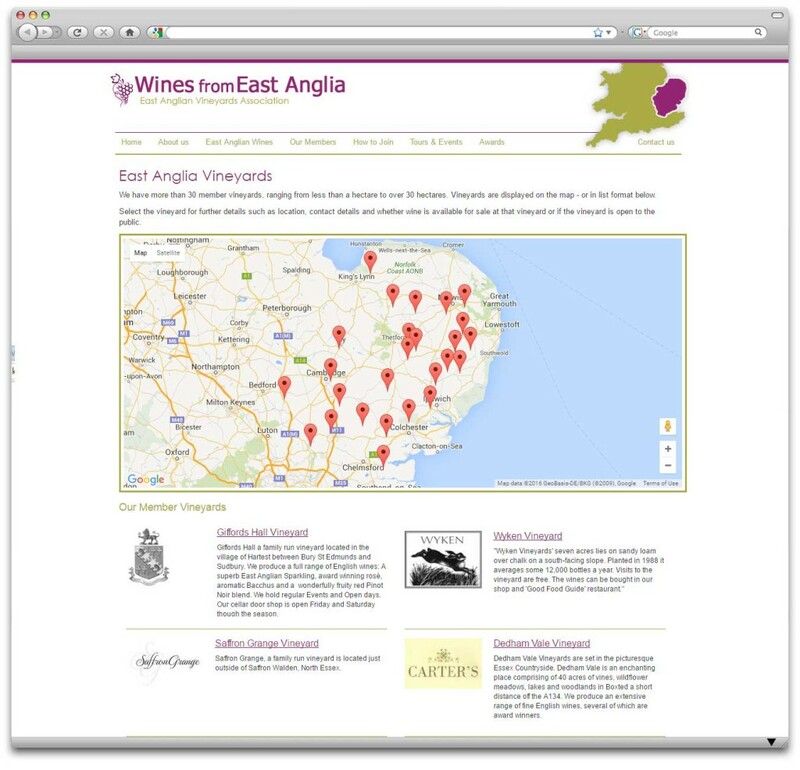 The CMS allows easy update of the local events being held by East Anglian Vineyards. The website features an advertising section for relevant businesses to help raise funds for the association. A WordPress blog was later added on, seamlessly designed to match the main website, for members only. This section is only accessible once logged in and contains news, meeting minutes and useful documents for the members.